Happy Shoesday everyone. 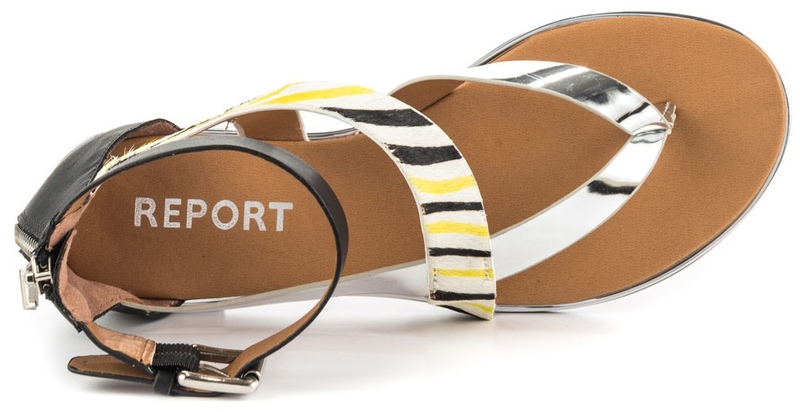 After all the walking we did yesterday, we decided today's shoe would be another comfortable (and quite chic) pair of flats. 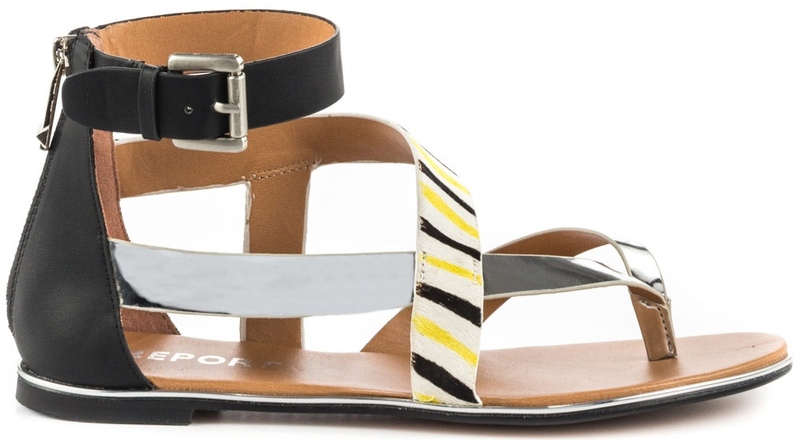 Say hello to the Report Conlan Sandals, a stylish flat sandal with lots of personality thanks to its fusion of footwear silhouettes. 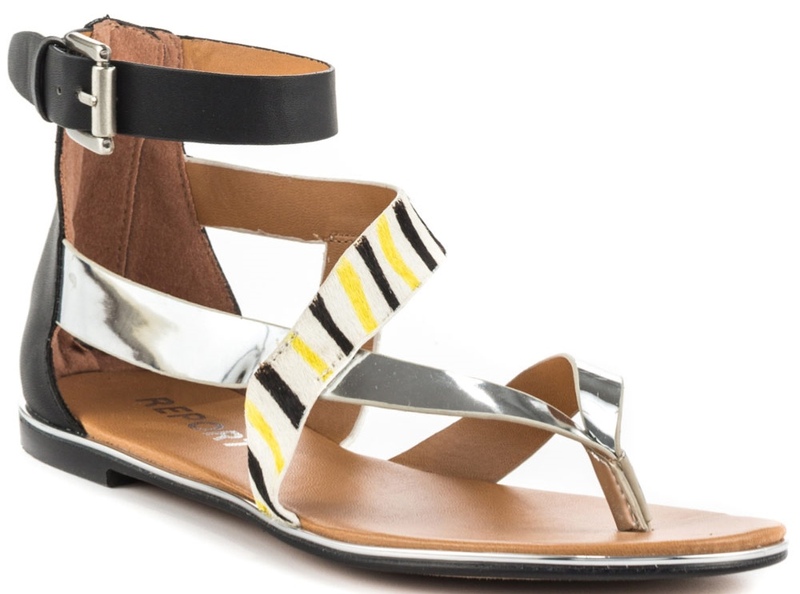 Part thong sandal, part gladiator, this beauty wraps your feet in a multi-strap upper of silver metallic, black faux leather, and a yellowblack/white striped print. The Conlan also features an adjustable buckle, back zippered closure, and a silver trimmed sole. We love the above colorway, which is available at www.zappos.com ($59.99), www.heels.com ($69.99), and www.lulus.com ($59.00), but make sure to check out www.6pm.com and Tradesy for a polka dot option.